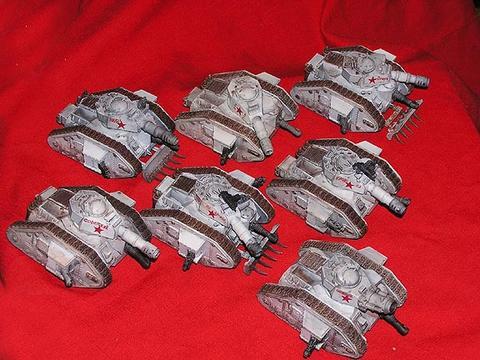 I have always loved the GW 40k range of Imperial Guard figures and wanted a nice quick and simple set of Sci-Fi rules that I could use to game with them. 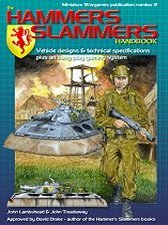 My good friends Andy Roalfe and John Lambshead introduced me to "Hammer's Slammers", a great little set of rules co-written by John. 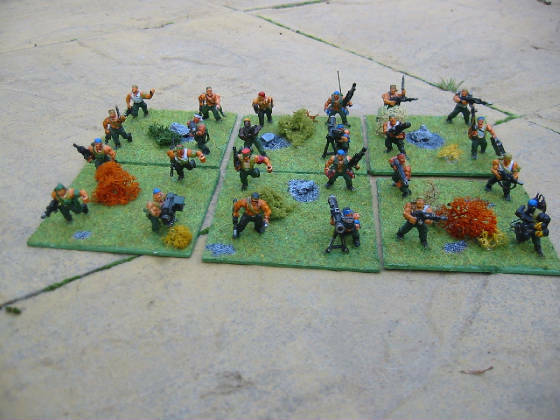 The rules are based around the worlds and armies envisaged by David Drake in his Hammer's Slammers series of books. The various armies have national characteristics based upon the countries or organisations back on Earth that established colonies in space. 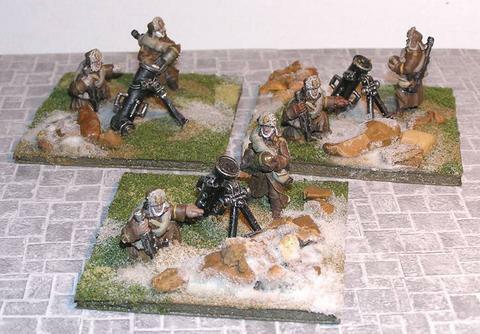 GZG and Old Crow Models make figures and AFVs for this rule set. 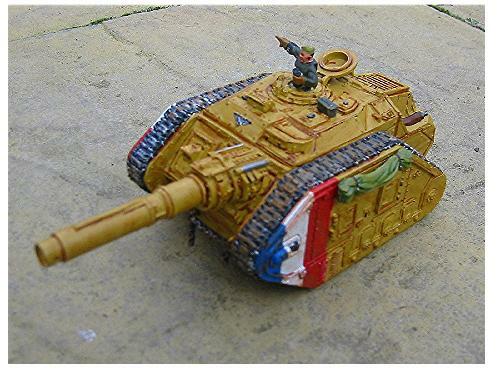 I've used this and various other influences to create my own armies using GW 40k figures and AFVs. 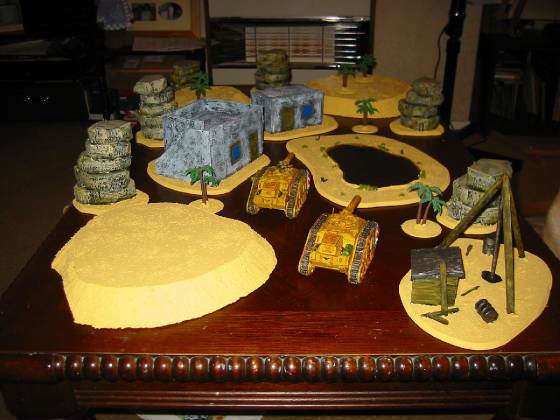 I have tweaked the rules somewhat to change base sizes, to make infantry a little more powerful, and to add other AFVs...........and Aliens/Bugs. 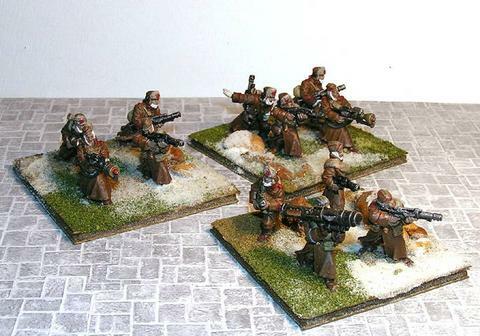 Ken Crawford painted me up these superb Sci Fi Soviets. 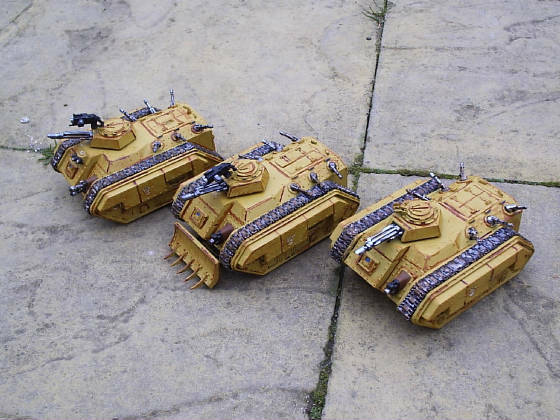 I wanted the emphasis to be on masses of medium quality armour with hardy infantry. 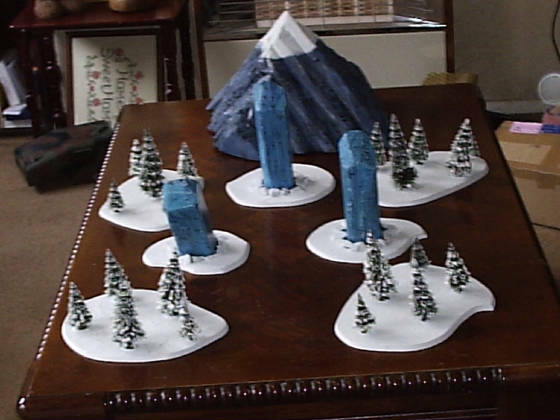 I chose a spring thaw look to the bases that would allow them to fight on a snow-white or grass-green base cloth. ......did I mention masses of Armour?? 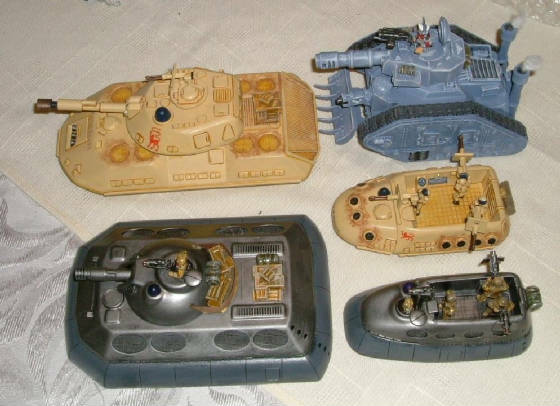 Andy Roalfe painted the Tank Hunters and John Lambshead the Rhino APCs. 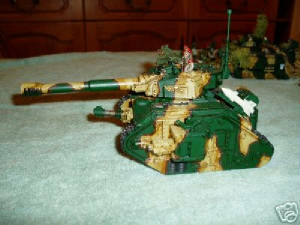 I wanted the emphasis to be on smaller numbers of high quality AFVs and tough veteran infantry. For infantry I used the old style stormtroopers wearing a beret, painted in modern day FFL green uniforms with French flags on the shoulder. This is my version of the most highly paid, elite mercenary regiment in the galaxy. The emphasis is on small numbers of state of the art, high tech AFVs and elite special force infantry. 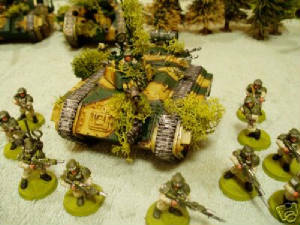 For infantry I have used Cadians in their standard colours. 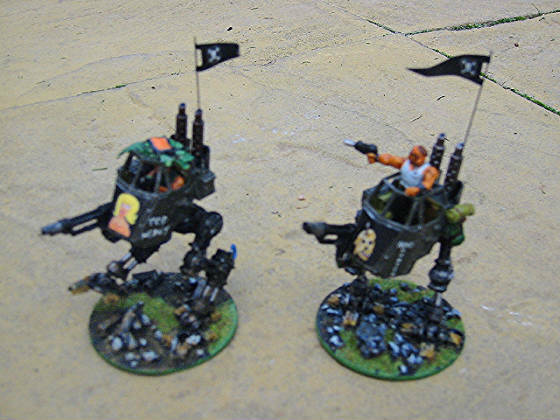 Rebels without any AFVs, except a few captured sentinels. Lots of them, fairly well armed, with plenty of futuristic RPGs (or anti-AFV capability). 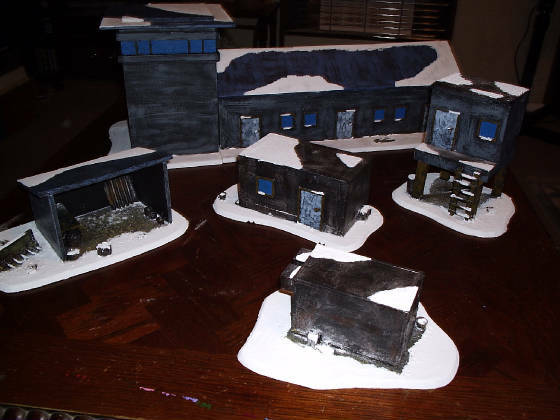 Terrain will generally favour these guys and work against armour. 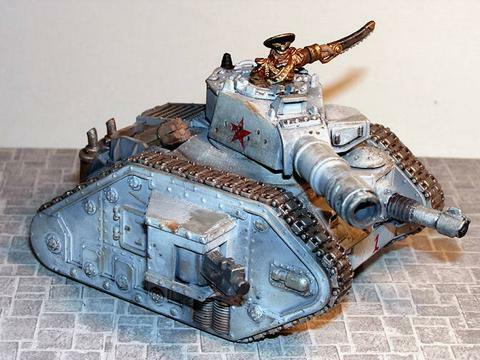 I am using Catachans of course!! Ruthless desert warriors following an extreme form of the old-Earth religion of Islam. Inhabitants of a planet rich in natural minerals coveted by others. Haven't decided on the exact composition of this force yet but it will be relatively well equipped. 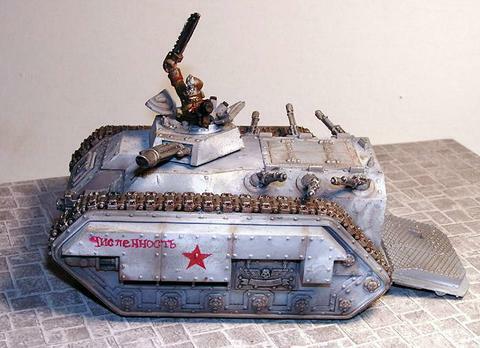 Will use Tallarn figures and a mix of AFVs. 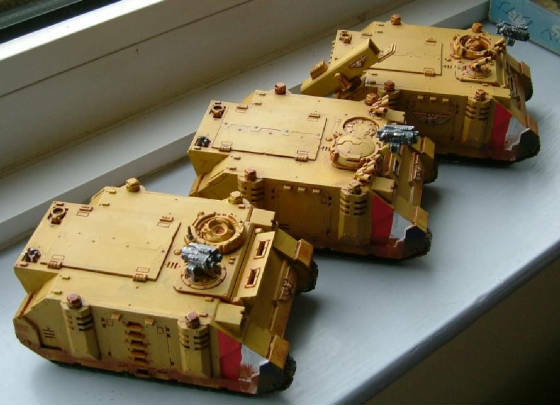 I am using Tyranid Hormagaunts (the old metal ones). 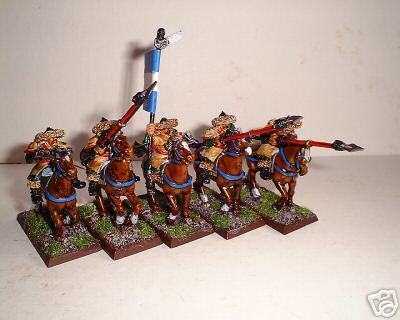 These ones were painted for me by Ken Crawford and are still awaiting basing in the pic below. 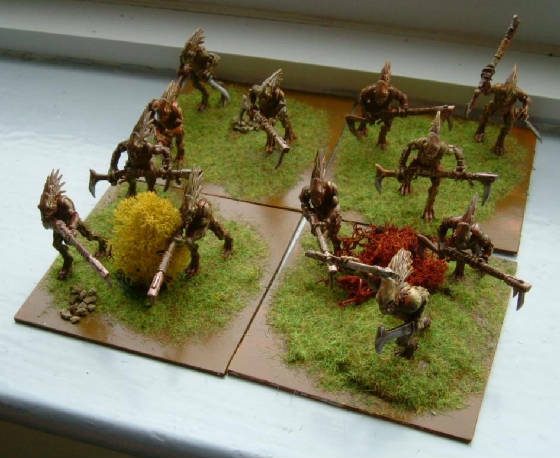 Generic armed Aliens vs tooth and claw type. Haven't worked out a specific OOB for these guys yet, but I liked the look of these Kroots.